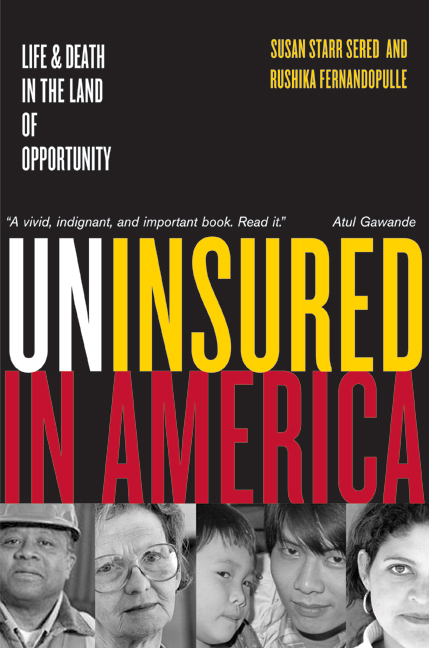 Uninsured in America goes to the heart of why more than forty million Americans are falling through the cracks in the health care system, and what it means for society as a whole when so many people suffer the consequences of inadequate medical care. 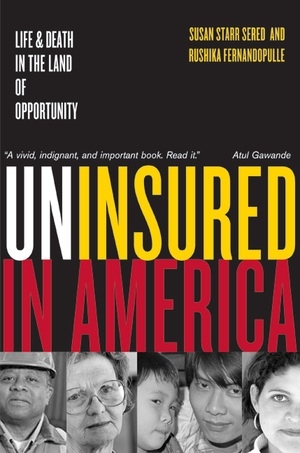 Based on interviews with 120 uninsured men and women and dozens of medical providers, policymakers, and advocates from around the nation, this book takes a fresh look at one of the most important social issues facing the United States today. A new afterword updates the stories of many of the people who are so memorably presented here. Susan Starr Sered is Senior Research Associate at Suffolk University's Center for Women's Health and Human Rights. Rushika Fernandopulle is a clinical physician at the Massachusetts General Hospital and is also on the faculty of Harvard Medical School.